For some reason today is a day of reflection for me. I suppose it’s because I’m preparing to launch on Patreon and trying to line up interviews at PAX Unplugged (like a “real” member of board game media–what a strange sensation). The Thoughtful Gamer has grown slowly and steadily over the past months, and more than ever I’m excited to see where it goes next. I want to get better at what I do, and I want to try to find truly excellent games. The more I look the more I see a sea of mediocre games, which is the only part of this whole enterprise that gives me pause. On the other hand, mediocrity can also sharpen one’s senses for what’s great. I’ll be interested to see what happens. As I sat at my computer, reflecting, I was inspired to track down one of my favorite movie criticism installments–”Moments Out Of Time” by Richard T Jameson and Kathleen Murphy–and I was delighted to see that every single piece throughout the years has been collected in one location! Regular readers and listeners of the podcast will know that I am a movie enthusiast, although I don’t get around to seeing nearly as many movies now as I did a few years ago. Moments Out Of Time is a look back on the previous year of films, highlighting the transcendent, funny, and beautiful moments that ingrain themselves in our memories. 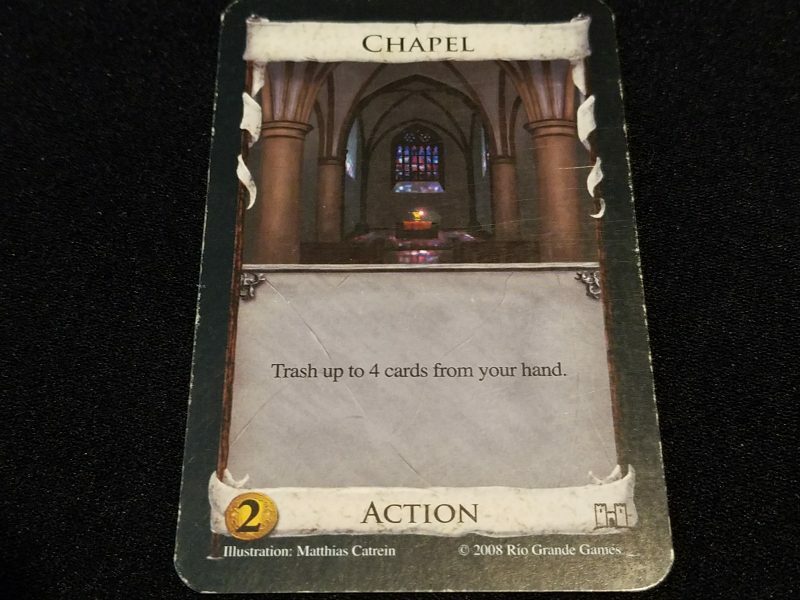 Then we play a game with Chapel. I look at it, see the ability, and I’m immediately puzzled, but don’t give it much further thought. Not until Bubba buys a copy immediately and starts trashing all of his cards. “Why would you want to get rid of your money and victory points?” I ask. “Just wait and see”, replies Bubba. Boy was I in for a revelation. The summer between freshman and sophomore year of college (I think? Every story here is probably apocryphal to some degree due to my poor memory) I’m at Kyle’s house, and he’s teaching a group of us high school friends 7 Wonders. Earlier in the year Kyle had hyped this game to me not just as a cool game, but as an entirely different class of game altogether. 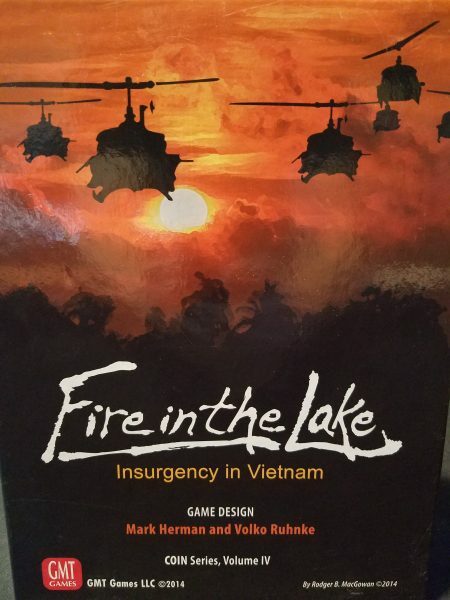 “There’s essentially no luck, and these games are precisely and mathematically designed to be strategic and balanced.” Seeing his excitement made me excited to actually play it. After the first game I saw where I had messed up–I hadn’t gotten enough resource cards early on and I was wholly unprepared for how expensive cards would be in the third age. Plus my wonder seemed weaker than everyone else’s. Clearly I needed to try a different one. “Let’s play again!” I exclaimed. After the second game I announced that I think I loved this game and that we needed to immediately play a third time so I can win this time. We’ve barely even scratched the surface of strategy here! Plus each game only takes like 30 minutes. I was oblivious to everyone else kind of wanting to move on to do something else that afternoon. I think I managed to get in another game or two with a smaller group. I was enthralled. We’re all talking in one of our hotel rooms, trying to relax before the start of the debate tournament early the next day, when one of the coaches pops his head in the door. With a bemused expression on his face he says, “want to play a game of cunning and deceit?” After a stunned couple of seconds, we hesitantly say “suuuuure”. Jimmy can’t lie. He just can’t do it, and we mock him relentlessly. Nate is immediately pegged as a spy because his face has turned beet red. He does not want to be a spy. He wants to convert to the resistance side. It’s great fun. No specific memory here. Just recognizing the hours and hours of Dominion I played on the old isotropic website. It was ugly, but it was fast and functional. Then after losing a lot I started reading strategy guides. And then I read ALL of the strategy guides. After a while I got pretty good at the game. For a game I spent 4 hours playing, I don’t really remember anything about it. I remember not understanding the rules. I remember trying to figure out the pros and cons of various options and not being able to see clearly any reason to choose one over the other. I remember at one point wondering aloud how we were supposed to have a chance at winning and being told, “oh we’re definitely going to lose. This is one of the most difficult scenarios and we’re not doing well”. I remember getting some kind of cool equipment or something, and then dying to a monster. I remember the game mostly as a feeling of boring, inevitable doom. So I guess it was thematic? I discover Shut Up and Sit Down and start planning out board game purchases after moving to Boston. Why not start with their pick for the best game ever made? Easy decision. I’m so excited to explore these ridiculous alien powers. In maybe our second game I am the masochists and win handily through my own self-destruction. Wes says they’re OP AF and that we should never play with them again. Later I realize that the entire point of the game is to have OP abilities. The Cosmic Encounter box is probably the most well-worn out of any in my collection, partially through play and partially through it going through 3 moves to different apartments. I don’t think I’ve played it in a couple of years, though. A better recommendation from SUSD. I love how the game finds surprising amounts of depth and strategy in a ludicrously simple design. I convince Amber to let me bring it on our short 1st anniversary vacation to Raleigh. (We wanted to go away somewhere and Raleigh was the 2nd cheapest flight destination.) (The cheapest was Detroit.) I beat her soundly on the beaches of Normandy, the game board balancing on a wicker ottoman in our airbnb room. She doesn’t play Memoir with me again for a while. We play every single game night–usually a couple of times. We have rituals now. 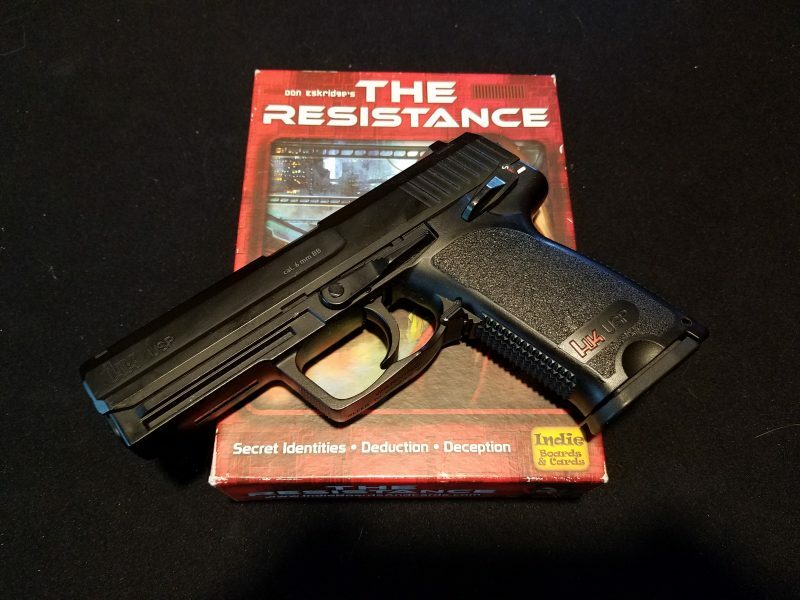 Instead of passing around cardboard tokens with pictures of guns on them to designate our team members, we’ve invested in (inoperable) full-metal airsoft handguns. The bright orange tips were anti-thematic so we sawed them off. We dim the lights, and sometimes light a couple of candles. We also found the perfect eerie background music–the soundtrack to the David Fincher version of The Girl With The Dragon Tattoo. Before the creepy instrumentals begin there’s a rad cover of The Immigrant Song from the movie’s credit sequence, and I insist that we don’t skip it because I want to sing along. Who doesn’t like The Immigrant Song? We’ve played it dozens of times, but this time Wes, the wildcard, decides to only speak Russian. We don’t know any Russian. Suddenly there’s another layer to the game. Russian is kind of a suspicious sounding language, so we have to guard against assuming Wes is a spy. But he’s trying to communicate information to us, and getting frustrated because even basic ideas aren’t coming across. Is that the frantic desperation of a member of the resistance trying to give us vital information, or just Wes finding out how frustrating a language barrier can be? Every group playing The Resistance needs a wildcard. Wes silently stands up from his chair, walks over to his desk, and after a few seconds the Soviet Union national anthem starts blaring from the speakers. With horror I realize that the Cuban Missile Crisis card was on the table, which means that any coup attempt instantly causes global nuclear war. I had completely forgotten about it. I was so concerned with my own power and position on the board that I had forgotten to make sure I wasn’t causing the annihilation of all humankind (and losing the game). Twilight Struggle is the most thematic game I’ve ever played. The game is imbalanced. There’s so much dice rolling. Half of the scenarios are won by Orion just making his minions sprint across the map to their goal. But somewhere in the middle of the campaign, between fits of laughter, we construct a fictional metal band called “We Descend” and their debut album “I’m Batman!”, which contains songs such as “Forward Backflip”, “Attack Attack!”, “The Ballad Of Grisban The Thirsty (pts. 1 and 2)”, and “The Ur-Barn”. We got to Vlaada-con, a small local convention celebrating the games of Vlaada Chvatil. 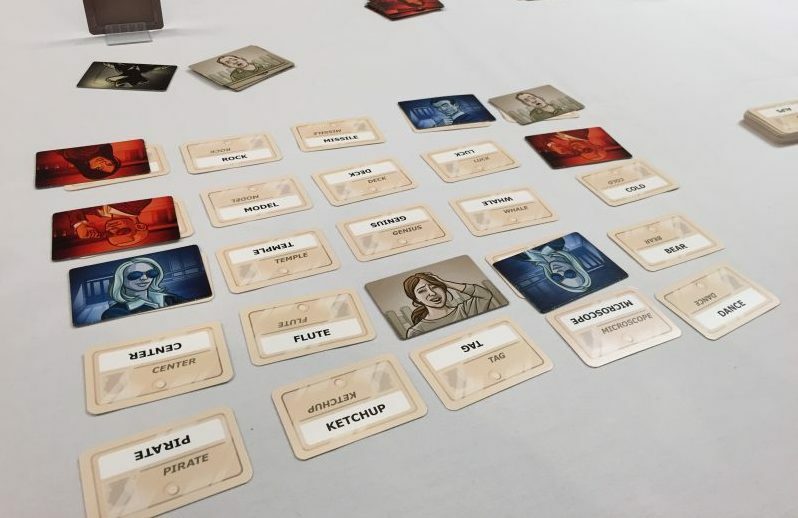 They managed to get a prototype copy of Codenames before Gen Con! About 20 of us are huddled around a table playing our first games. “Pepper” is the clue. Well, “ghost” is right in the middle, and that’s definitely a type of pepper. The clue-giver hangs his head in shame. Assassin. I bought the game on a whim. I was trying to be careful about purchasing heavier games, because I didn’t want to dive in too deep and become overwhelmed, but despite its reputation and BGG “weight” score, I pulled the trigger here. After reading the rules I think, “that’s it?” They’re straightforward and make complete sense. The game board is clear and reinforces the rules beautifully. 95% of the game is on the small player aid cards. This may be a heavy game (and it is) but it was so easy to learn. As I set up our first game and start describing how simple it is, I say “I think I love this game already.” Still do. I just don’t get this game. Orion has gotten me to play it again, insisting that it’s brilliant. It seems random, I never have enough money to do what I want, and ice is incredibly annoying. Then Orion explains that he’s able to slap an agenda down and advance it because I’ve left him a “scoring window”. I don’t remember much of those first moments of falling in love with Netrunner (my memories are consumed by the even better competitive game of analyzing decks and cards on an ever-increasingly minute scale), but I do remember that understanding this concept of a scoring window made the entire rest of the game fall into place. It’s not a game about building money up to waste it all on probably useless runs. It’s an economic jockeying game. A dance of positioning and bluffing and outmaneuvering your opponent. It’s absolutely brilliant. BGG’s weight rating system has lied to me. This was supposed to be easier to learn than Twilight Imperium! 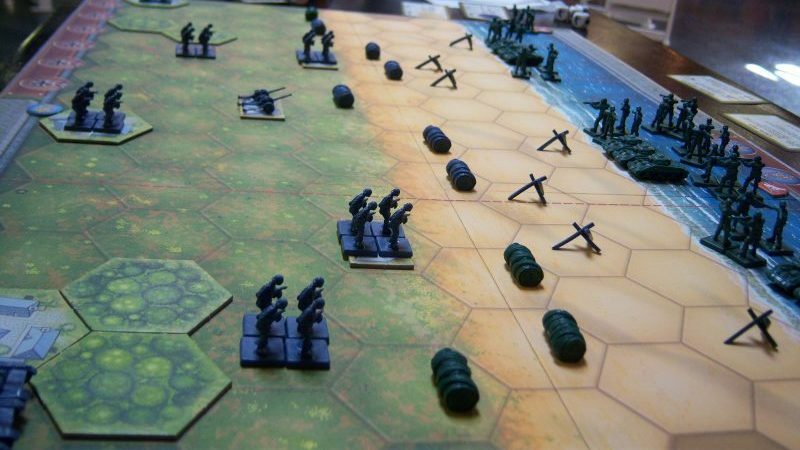 Turns out that there are secretly two different rating systems–games that wargamers play and rank according to their skewed wargamming perspective, and all the other games. This is without a doubt the most complicated and confusing game I’ve ever played, but I’ve only heard great things about it and I want to understand it, dammit. 6 hours later and we’re barely halfway through the deck of event cards. We decide to call it quits, and all of us share the same feeling: That was frustrating, and we only have a vague idea of the connection between our available actions and our win conditions. Also, we all think we liked it. We get into a shouting match about what kind of contribution to the collective is “fair” given our individual resource productions. It goes on for a good 15 minutes. We take a huge hit because people stop wanting to contribute. We all leave friends. This is “game theory” the board game. A strong board game bubble is required. Orion, explaining the rules: “billboards only work if they’re directly next to a house”. “People will only buy food from you if you can satisfy all of their desires.” “Gardens make people pay twice as much for their food.” This game is hilarious. A couple of days ago we’re discussing the Dark Ages expansion in preparation for Dominion Week (starting Monday!). 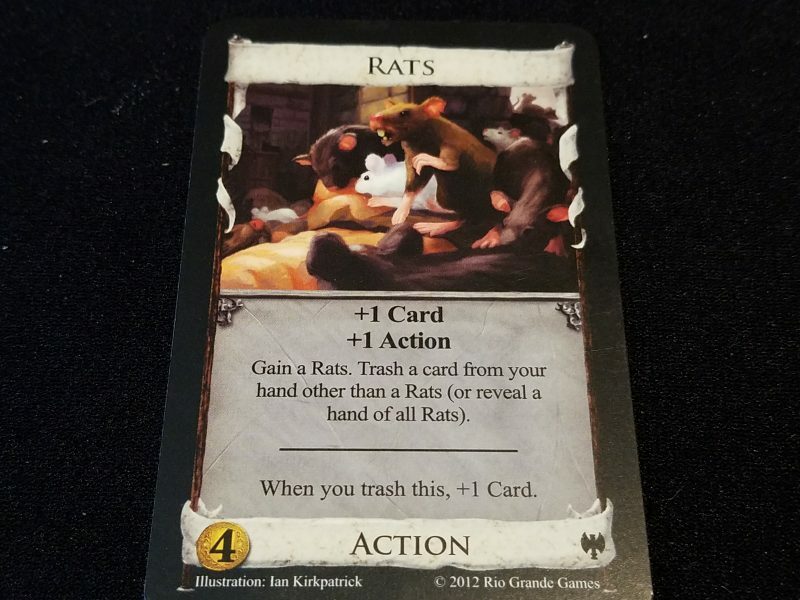 Matt mentions that Rats is Donald X Vaccarino’s favorite card in all of Dominion. Rats? Isn’t that the replacement card that just makes copies of itself? Yes, but once they’ve eaten most of your deck you can use trashing cards to convert them into even better cards. In fact, Develop, a card I had been harping on throughout the game as Bad, would be nearly ideal in a rats strategy. What a wonderful game that 8 years later I can have my mind blown again by an interaction I didn’t think possible.